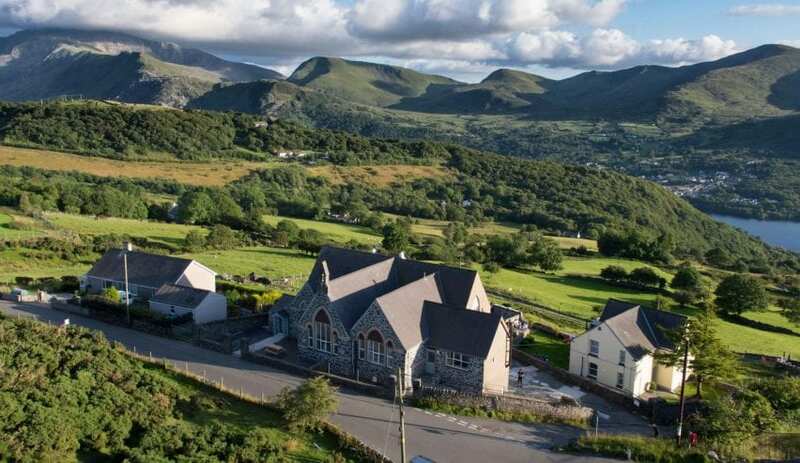 Lodge Dinorwig is right on the edge of the Snowdonia National Park in North Wales. Entering the building you can still find features of its previous use as a school. 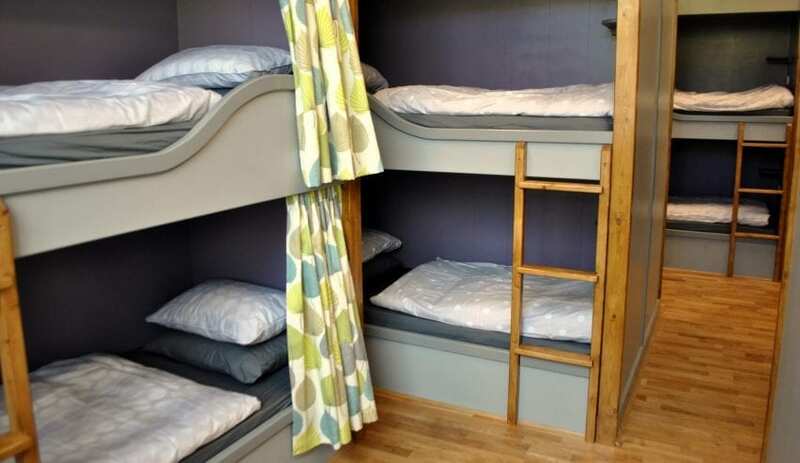 The 4* bunkroom sleeps up to 14 people and all beds are equipped with curtains, plug sockets and reading lights. 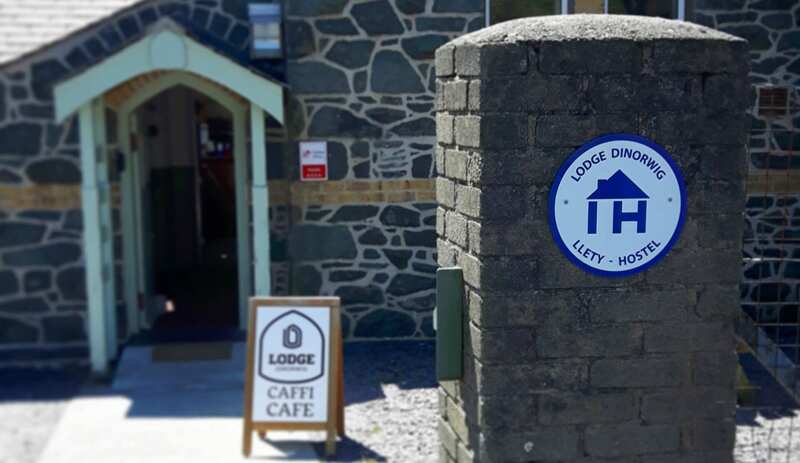 Lodge Dinorwig will look after all your catering needs during your stay. A cooked breakfast is included and you can book dinner if you wish. Overlooking Snowdon and Llanberis, Lodge Dinorwig is the perfect base to plan your route up the highest mountain in England and Wales. 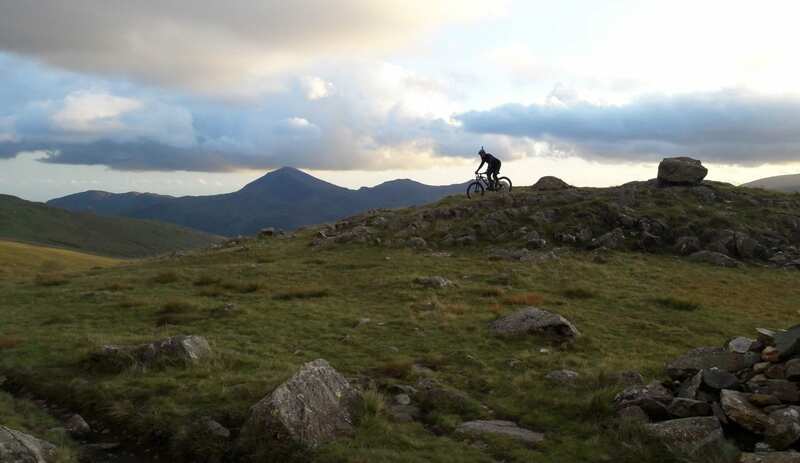 With North Wales being the Adventure Capitol of Europe, Lodge Dinorwig is conveniently located for many adventures. A short drive will get you to the fastest Zip Line in Europe and many activities like mountain biking, coasteering, surfing, climbing and trampolining are just waiting right outside our front door. The on-site Cafe gives you the perfect excuse for that slice of cake after a day spent in the mountains. 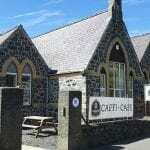 This accommodation is featured on our map of Snowdonia and North Wales and here is its own website. All year. Check in from 3pm, check out by 11am. Book online or by phone or email. Same day arrives book by phone only. When visiting Lodge Dinorwig it is recommended that you follow the road through Deiniolen as it is a well lit two-lane road and the most direct/quickest route to Dinorwig. Another route, which your satnav may recommend, comes up through Fachwen from a village called Bryn Refail. Please be aware that this is a single-track road with very few passing places and it is poorly lit with numerous bends - this route is not recommended. A bus stop is right opposite the entrance. The nearest train station is in Bangor and from there you can catch bus to Deiniolen. There you can either catch the next bus to Dinorwig or walk up to the hostel. This accommodation is near mountains, is in a National Park, is available to individuals, gives a Best Price Guarantee and is on the IHUK signage page. 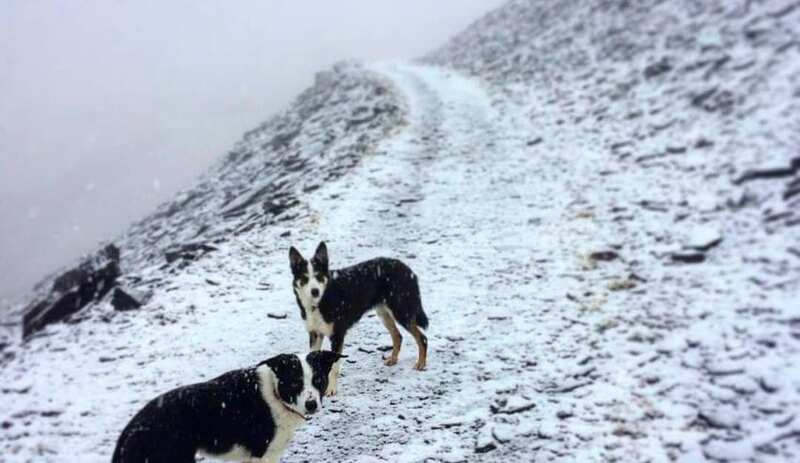 We already had a little taste of what Spring is going to be like but Winter has returned to North Wales. Snowdon is white again and the temperatures have dropped to single figures again. 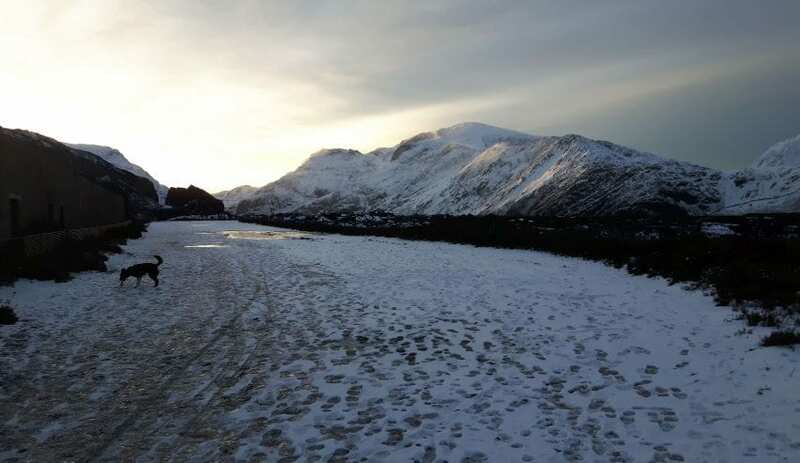 If you want to go walking in the snow on one of many hills and mountains or you just fancy some wintery views while walking on the beach, our little Hostel is the perfect base for your last Winter adventure before Spring gets here. There are not many places in North Wales with views like ours over Snowdon, Llanberis and Anglesey. 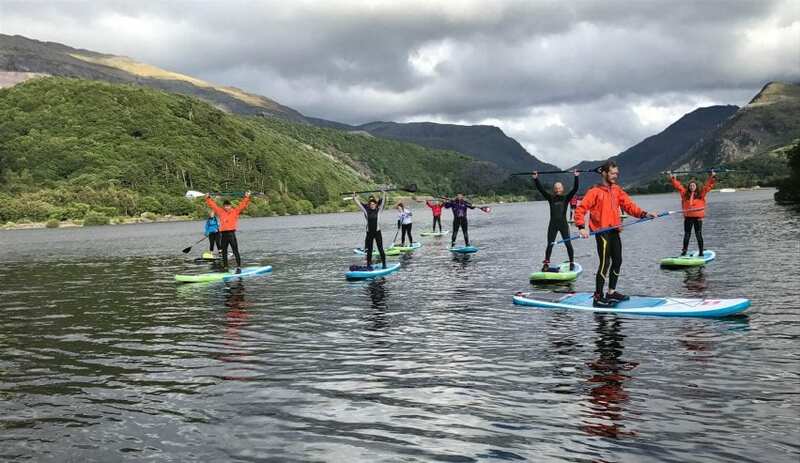 The perfect spot to plan your route up Snowdon, psych yourself up before heading off to Zip World or just deciding which beach to explore today. 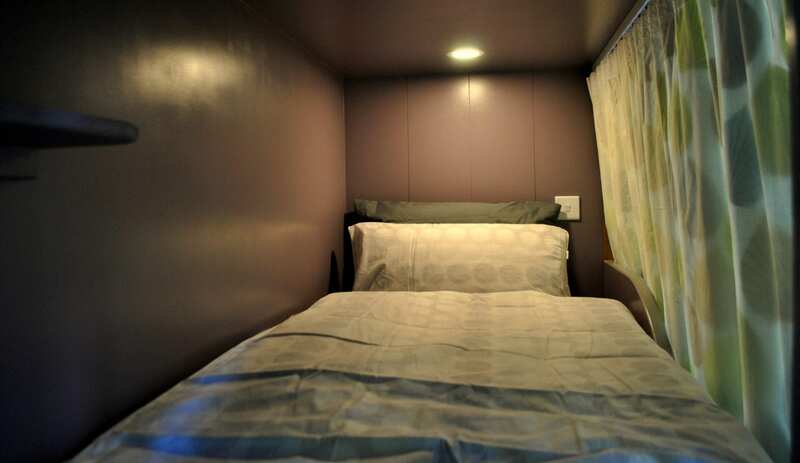 The bunkroom is very cosy, with capacity for 14 people in handmade bunk beds; bedding is provided and the beds have curtains for extra privacy. 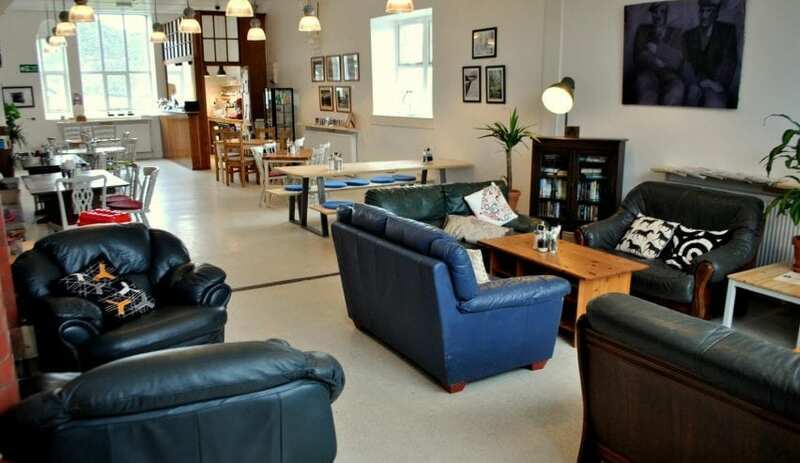 We have plenty of space for you to lounge about and enjoy our on-site Cafe. 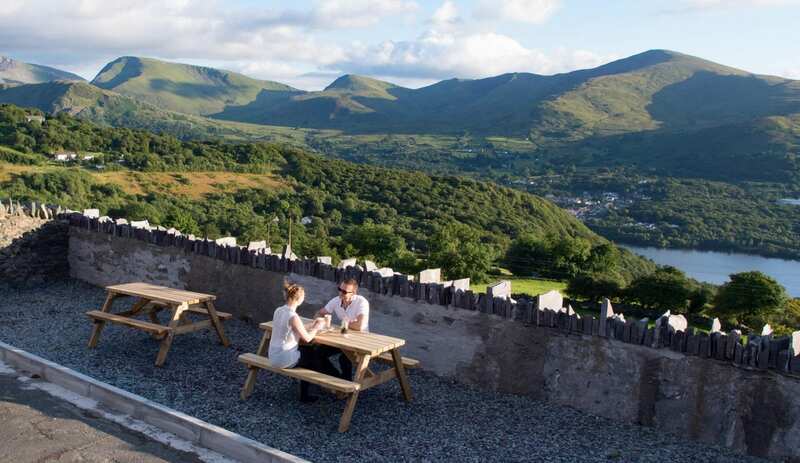 Our cooked breakfast (included in our rates), is perfect before setting off to hike up Snowdon and nearby peaks. 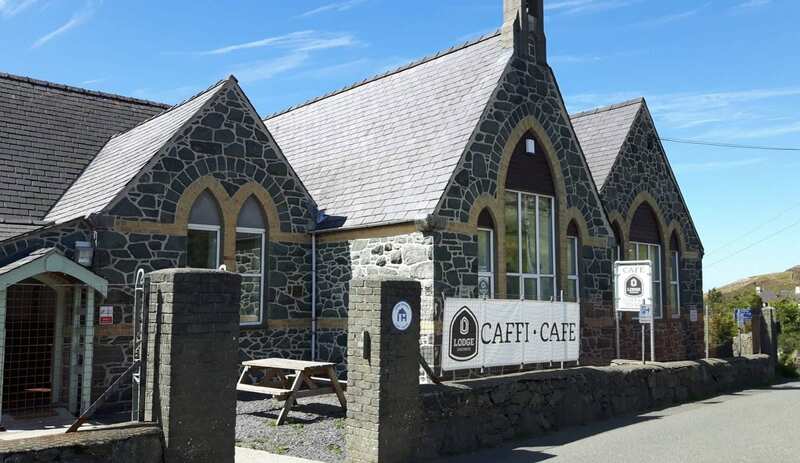 The café serves great lunches and we can provide you with a packed lunch to take with you. 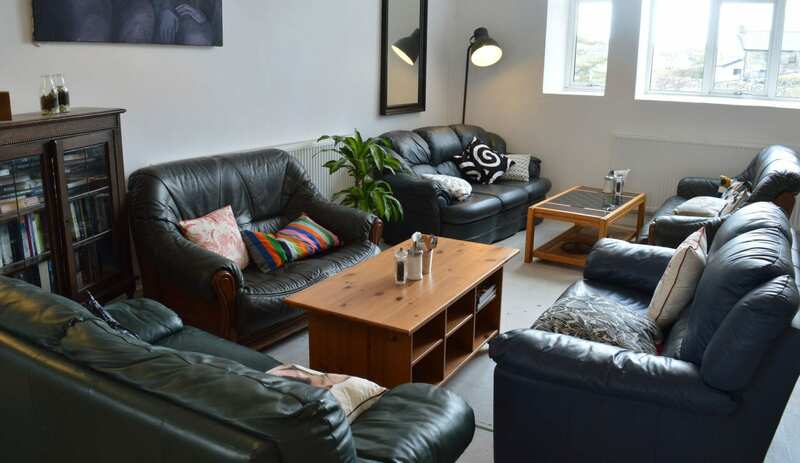 We don’t have any self-catering facilities at the Hostel but dinner can be booked with us as well. Why worry about cooking and washing up when we can do it for you for just £12.50 for two courses.